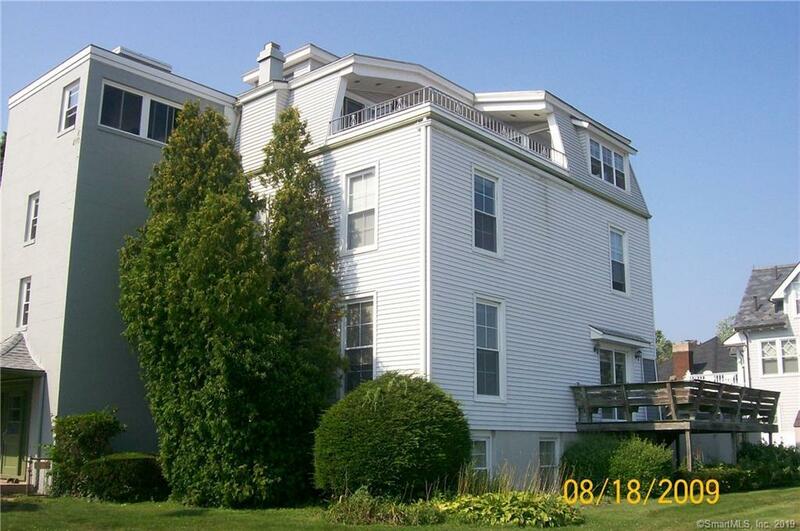 Direct Waterfront - Spacious second floor unit with fabulous views of LI Sound. Living room with sliders to deck. Family room with built-ins. Kitchen with island. Three bedrooms and 3 full baths. Off street parking. Enjoy relaxing on the lawn or sitting on the beautiful sandy beach. Heat and hot water included!